BBC Books is bringing back the classic Target-style Doctor Who novelisations for a select number of New Who stories, and the DWCA Book Club is celebrating by reading the most ambitious of them all: The Day of the Doctor. 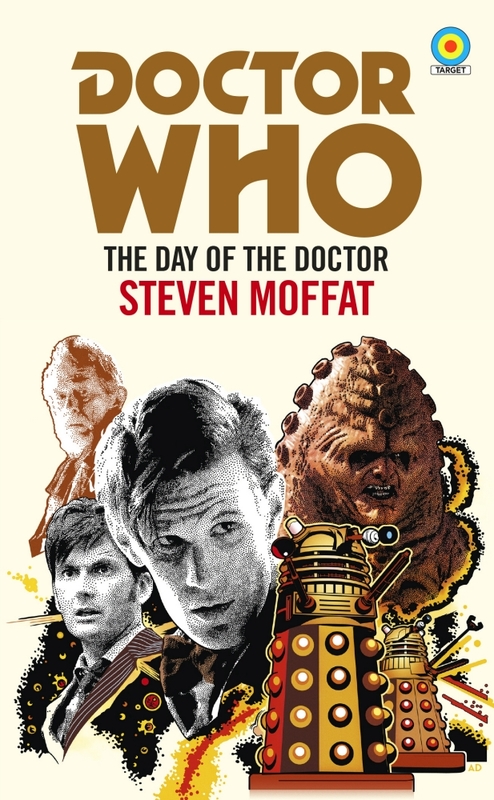 Novelised by Steven Moffat himself, the book enables readers to relive the magic of the 50th anniversary special in a style that has been beloved by Doctor Who fans for generations. It is one of four New Series stories to receive the Target treatment, the others being Rose by Russell T Davies, The Christmas Invasion by Jenny T Colgan and Twice Upon a Time by Paul Cornell. The Day of the Doctor will be released in Australia in eBook form on 5 April and as a paperbook on 16 April, and will be discussed at the DWCA Book Club meeting on Friday 1 June. You can also comment on our Facebook page if you can’t make the event.